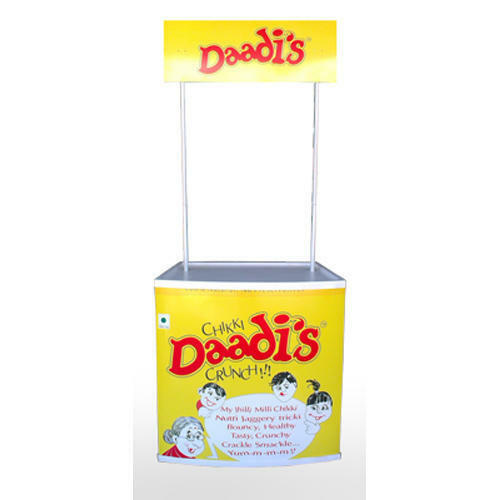 We are one of the most reliable companies in this domain and are into offering Display Promo Table. Display Mart is a brand of Ocean Inc, Bangalore,India. Display Mart is a company for supplying a diverse range of advertising and promotional products. Our aim is to master the art of developing innovative designs and setups, to add value to the industry. Display Mart has been helping businesses make their marketing challenges a bit easier. We start by manufacturing advertising display products that help business in a very cost effective manner, the businesses can avail our products and services from anywhere without leaving the comfort of their seats. We aim to proinde a 24—hour online resource centre to cater businesses where they can access the information and order the products.